Hi, I’m Damian Garbus. It’s great to have you here. It’s the first post in the 2019 year. Did you set goals on the new year? I did this. Now it’s time to replace the plans for tasks and complete them!!! OK, but this post is not about my 2019 goals. I want to show you the first way to write your first script and run it. 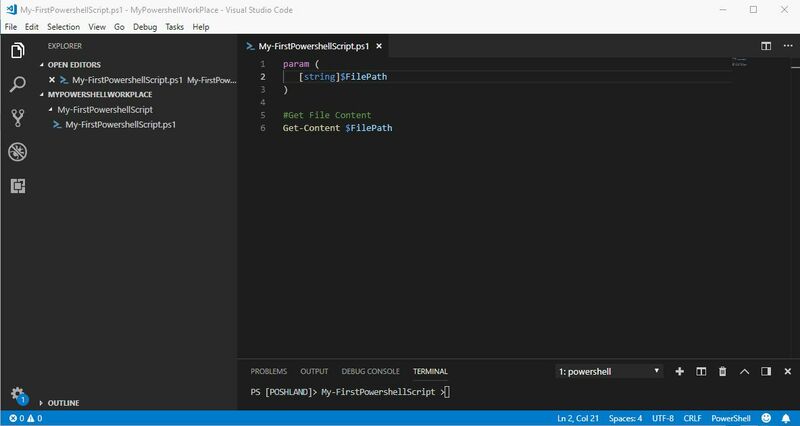 I wrote many blog posts about Powershell basics, and now it’s time to use them in your first Powershell script. Don’t worry. I will still write new posts about Powershell for newbie and Powershell basics for everyone. However, It’s time to use knowledge from my blog and practice, practice and one more time practice. If you want to write your script, you have to know what information You want to insert to script and what information this script should return for you. I will show you a simple example of how to start writing the Powershell script but more important is an idea before starting writing scripts. 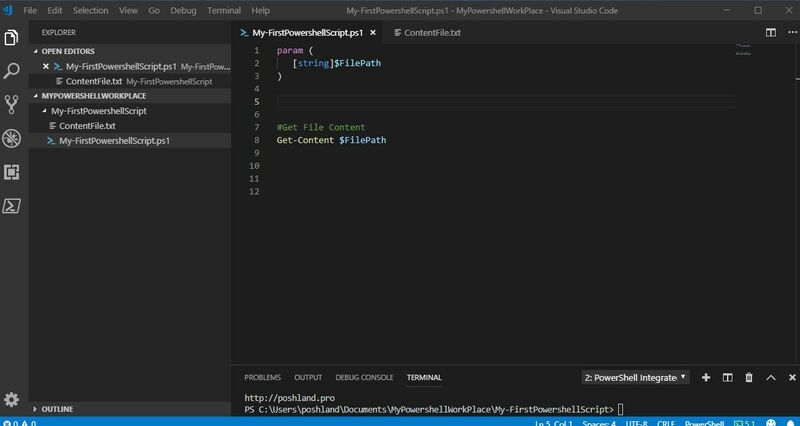 In this post, I will only show you how to create Powershell scripts file and fill out this with Powershell commands, parameters, and functions. After this, you can test the script. 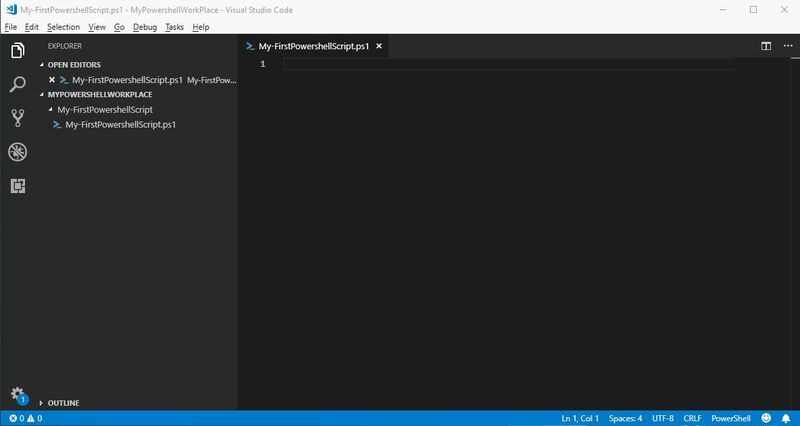 All required steps I will show you using Visual Studio Code. Before you start, you have to create your script file. It’s a file with “ps1” extension. In Visual Studio Code you can create not only file but directory for these scripts. About param block, I wrote in the post Why Powershell param block will change your scripts to better, so please read this article if you don’t know what is param block now and come back later. The param block isn’t required to run the Powershell script. On the other hand, all the Powershell scripts should contain this. Ok, so it’s time to add param block to your first script! Now you can write your main tasks in the Powershell script. Write everything that Powershell script has to do step by step. During Powershell script writing, you should fill out param block with variables which should be available to change when the script is invoking. 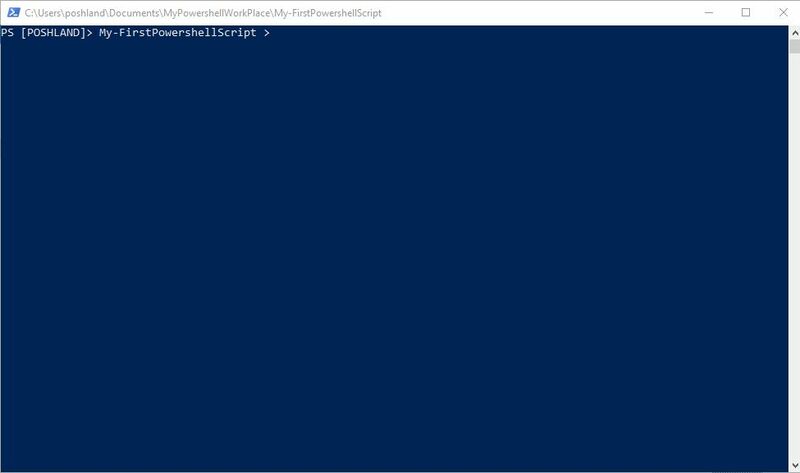 [EDIT] Before you add Powershell commands to script, always you can check this command in Powershell console if it works fine. If script will not working, this approach help you troubleshooting what doesn’t work. If you repeat a few sequences of command, probably you can change them to Powershell function with others param block. After doing this, you can invoke this function by name as a Powershell command and all repeated sequence will be run. One more advantage is that, if you want to change this sequence of commands you can do change only in function, but not in all places in Powershell script. In the end, You can run the script and test it. 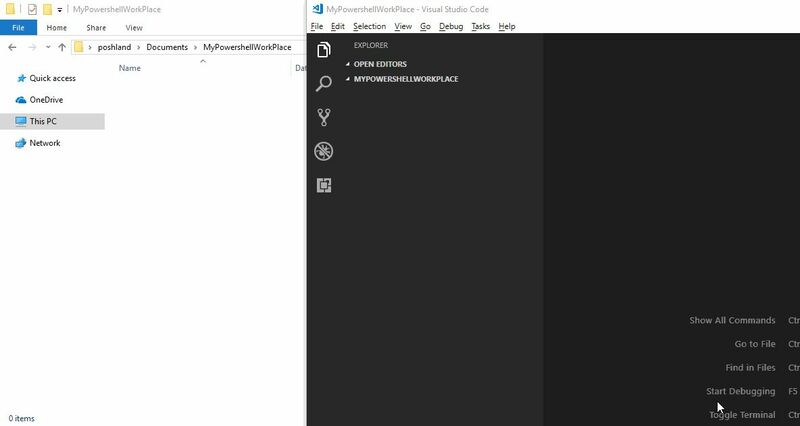 It can be done in Visual Studio Code but also in Powershell console. Above, I showed you 5 steps to write Powershell scripts. I want to tell you one more time, that the most important is an idea to write a good Powershell script. For high-level scripts I’m using ‘Coggle.it’ to draw Powershell script schema before I will create the script file. More about the tools I’m using you can read here. 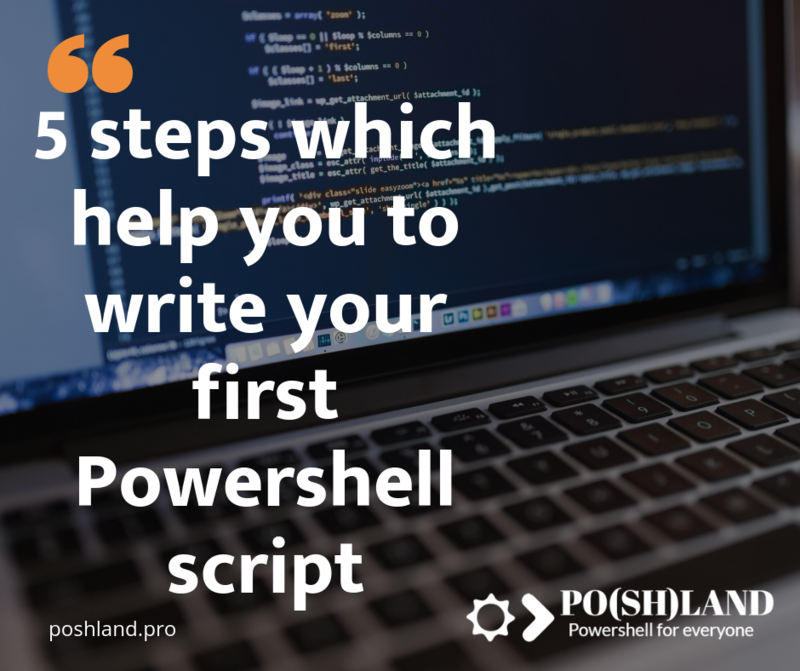 2 replies to "5 steps which help you to write your first Powershell script"
Good start for a real beginner. One thing I always stress is that you should be able to run the core PowerShell expression in the console. Have a set of PowerShell commands that you can type and that work. That can become the basis of your script. Otherwise, for beginners writing their first script, it can be tricky trying to figure out what doesn’t work. Is it my script related code or the something else? Starting with code you know works will help. Good Point!!! I just edited the article and add this information.